Online Registration is now closed. Registration at the door is available! Monday night we have a very special guest coming! All ticket holders are welcomed and we will also have early registration!! The doors will be opened at 6 pm, come, get registered, hang out with Tammy and her team and Thornton! Class starts at 7pm and goes to 8pm. Thornton Streeter, D.Sc. Dr. Thornton Streeter, DSc, is faculty head of the Zoroastrian College section of human biofield research and is appointed as a student thesis guide. He is an official representative for AISBBS to the United Nations (ECOSOC) and special Advisor to the ICNM, the UK's leading authority on Complementary and Natural Medicine. He is also Director of the Centre for Biofield Sciences (link is external), co-developer of the Biofield Viewer, and founder of the Energy Medicine Exchange (link is external). Dr. Streeter has spent over twenty years specializing in research of the Human Biofield. He initiates Energy Centres worldwide, designed to integrate modern medicine with traditional understanding from Ayurvedic and Chinese medicine. 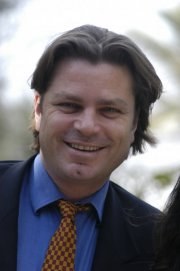 Dr. Streeter is one of the few certified trainers of Biofield Viewer (BV). He is also a qualified Electro Crystal Therapist (EleCT). Dr Streeter has overseen the development of a uniquely recognized and officially approved BV training program. Dr. Streeter is a member of ISSSEEM, ACEP, ICNM and Fellow of World Association of Integrated Medicine. Not only do you know what others are feeling, you can feel it right along with them. Oft times that can be overwhelming unless you have some tools to protect yourself as well as those you love. You'll learn some basic methods Tammy has taught thousands of others in learning to see and feel energy in blessing others lives. Empaths on a Mission is where you go from victim to VICTOR! 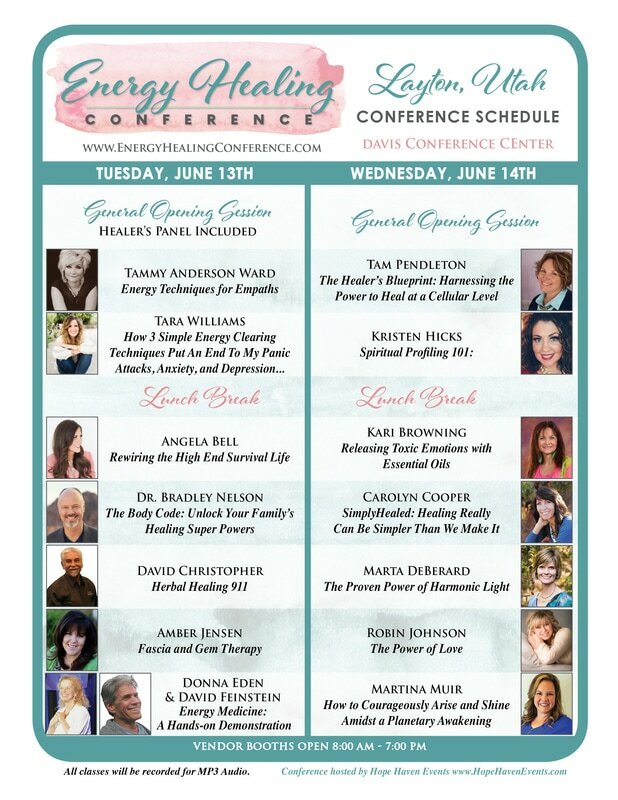 Tammy Anderson Ward: Since January of 2014, she's hosted more than 44 life-changing conferences helping to bring clarity to thousands about energy healing and doing it in a way that others may understand no matter their level of current understanding. Hope Haven Events has also published several books about energy healing and hosted dozens of intimate, affordable energy healing retreats. If you are looking for ways to be more self reliant with your own family's health this will be a rewarding experience for you. Tammy will also be hosting a panel of healers during the opening session. Energy Medicine draws upon ancient healing and spiritual practices, combines them with contemporary scientific understanding, and applies them in thoroughly modern ways. It is both a complement to other approaches to health care and a complete system for self-guided healing and personal development. Donna Eden is known for invigorating presentations that are rich with audience participation and stunning demonstrations of simple methods for shifting the body’s energies for health and vitality. In this workshop, you will be learning techniques that leave you feeling more vibrant and energized. They have deeper benefits as well, such as enhancing your immune system, mental clarity, mood, and emotional balance. Donna Eden and David Feinstein, PhD, are highly respected authorities and pioneers in the fields of energy medicine and energy psychology. Coauthors of five award-winning books (available in more than 20 languages), they have been collaborators and life partners for four decades. Together, they have built the world’s largest and most vibrant organization teaching energy medicine. More than 1,200 practitioners have completed the two-year Eden Energy Medicine Certification Program and are, in any given month, teaching dozens of classes and providing healing services to thousands of clients around the world. Their most recent book, The Energies of Love, achieved best-seller status on the NY Times Relationship List and was named the U.S.A. Book News Best Relationship Book of 2015. www.EnergiesOfLove.com. Why is the Healer’s Blueprint such a powerful force for good in the energy healing community? The union of quantum theory and spiritual awareness penetrates deeply into the subconscious mind, bringing opportunities for emotional/physical relief and new habits and patterns of peaceful living. James l. Oschman ph.d states that 'fascia forms the largest system in the body as it is the system that touches all other systems.'' It is full of life, memories, emotions and consciousness. Amber Jensen will share something incredibly important about the quantum shift of fascia. This information can have a huge impact on your health. Within this system, it has been discovered that humans emit highly coherent photons of light, and that our DNA uses these frequencies of light to drive all the physiological processes of mind and body. This light is a form of crystalline within the microscopic level of the body. Amber will also share with you how gem therapy supports this system and helps one heal in all 4 bodies of health. Amber Jensen is an international educator/speaker and author of the holistic arts. She started her holistic journey 27 years ago, certifying as a Foot Zone Practitioner through Dr. Ersdal, the father of Foot Zone Therapy. Amber and her business partner, Sharla Pearce, own the Wellness Life Zone Center for holistic healing and education. They are also the owners and educators of the Foot Zone Academy, where she authored their own anatomy and physiology books geared towards the foot zone technique. They developed a color-coded foot zone curriculum including animation, with over 80 newly discovered foot zone signals. Amber loves to teach the science and sacred writ about gem therapy. She has used gems in her practice and classes since the 1990’s. In 2014 her business partner, Sharla Pearce, created the Gemi Zone technique, now taught and utilized in all forms of energy work and foot zone courses. Complimentary to the foot zone, Amber is a Certified LifeLine technician TM, and trained in Cranial Sacral, Allergy Release, and the Neuro Emotional Technique. She also authored the Gentle Healing energy course to help one understand and connect to the 4 bodies of health and the laws that govern them. Would you like to live more connected to your heart? Would your relationships improve if you could love more fully? Our heart is our greatest source of peace, compassion and love. Join Robin Johnson, the heart whisperer, as she connects you to your heart and helps you find healing, power and peace. Robin Johnson fell in love with the man she later married when she was 13 years old. They’ve been married for 29 years and have 4 amazing children that they adore. Robin is known as the Heart Whisperer. She has a gift for seeing the soul and creating a safe place for people to heal. She is a Heart Centered Therapist, a Reiki Master & Teacher, and Shaman. She created Serena Wholeness to give holistic-minded people a place to gather and learn. A professional photographer by training, she is combining her gifts to pioneer a new field of healing photography. Kari Browning has discovered a very effective Biblical technique to release toxic emotions on a cellular level, which involves the use of therapeutic-grade essential oils, the laying on of hands, and prayer. Toxic emotions are oftentimes at the root of emotional pain, relational difficulties, abundance blocks, and physical illnesses. By releasing toxic emotions, you can prosper and be in health and live the life you've always dreamed of! Kari Browning is a sought-after international speaker and healer, and is the Director of New Renaissance Healing and Creativity Center in Coeur d'Alene, Idaho. She served as a pastor for 18 years. She also founded a bible college, a regional training center, and a Reggio-inspired preschool. She has been involved in inner healing ministry for over thirty years and has been trained in many different modalities. She has been happily married for 37 years and has four children and six grandchildren. Avoid the 3 a.m. visits to the ER! David will give you simple tools and remedies that can be easily found in your home. With a little bit of knowledge, you will discover how easy it is to manage these "emergencies" when they occur. Understand why light is so vital to our mind, body and spirit and learn about the science behind this modality which is quickly becoming the future of energetic medicine. Learn the well researched connection between harmonic light and pain, energy, mood, aging, sleep, memory, skin, digestion, circulation, and gene expression. Understand how light enhances our intuition and creativity and the unique way that light can send harmonic frequencies into every cell in the body and beyond. How 3 Simple Energy Clearing Techniques Put An End To My Panic Attacks, Anxiety, And Depression...Even Though I Had Little Time (As A Mom Of 3 Kids) And Was Brand New To Energy Healing! For years, I tried to overcome some BIG problems in my life, but no matter how hard I tried, how much I exercised, how much money I made, what I ate, or who I talked to, they’d come creeping back in and it was so frustrating…! With energy healing, I learned how to get to the root of the problem, instead of just putting a band-aid on it, so I was able to move more quickly through my problems and find much greater happiness. Tara Williams is the founder of Connect Academy and creator of The Energy Healing Podcast, teaching others the power of connection with the tools of energy clearing. After overcoming her own intense struggles and helping many others to do the same, she discovered that almost all suffering comes from lack of connection in life. Tara has mastered the ability of helping others connect to who they are, to their friends and family, to their higher power, and to their purpose in life with 3 simple energy clearing techniques. She is sought out for her ability to share these simple and powerful tools for creating greater happiness through deeper connection. Healing comes from the heart not the head. But when our head believes in too many rules it can bring in doubt about our ability to do it “just right”. Energy is intelligent, when you relax and let it guide you, the process of untangling limiting patterns becomes easy and natural. Come, learn about some myths and marvels of energy healing. Carolyn Cooper is the creator of the SimplyHealed Method and has been a trailblazer in the energy healing movement for 20+ years. 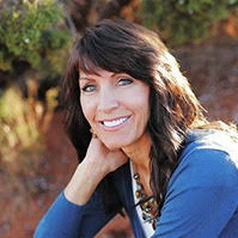 For the past 11 years she has successfully trained thousands of emerging energy healers across the USA and Australia. Carolyn’s trainings include an online Business Course and community to help students build their own successful energy healing practice. In addition, she offers Corporate workshops which improve employee moral and efficiency, and increase sales and productivity. She also loves leading her popular “Finding Yourself” women’s retreats, and is excited about her book coming out this summer! Kristen Hicks is the mother of 4 beautiful girls and is supported by an amazing husband. Kristen lives her truth daily as she shares her gifts of Spiritual Profiling, being a Reiki Master, Mentor, Speaker and Trainer to her clients. She propels each individual toward their highest capabilities with a no nonsense approach. To be in the presence of Kristen Hicks you know that you are number one. The world fades away and she envelopes you in her presence. Kristen’s rock solid confidence creates a space of healing & increased awareness as she shares her gifts and insights. She has a way of knowing who you truly are, where you’ve come from and where you are going. Her laser focus and powerful intuitive abilities continue to amaze clients from all walks of life and all over the world. She has been using her gifts for years to serve those around her. To be with Kristen is to feel you are the most important person in the universe. There has never been a time such as this. We are experiencing a massive planetary awakening. Spiritual frequencies are heightening and a divine warrior energy is beckoning us to awaken and arise into our highest selves. How do we do that? What does it look like? This class will cover everything from the definition of Light and frequencies, different warrior types (both the yin and yang versions), the cycle of ascension, and how to have the courage to live free, battle darkness, to serve and liberate others. Let’s rise together, shine in dark places, and create a tidal wave of Light that will be felt around the world. Martina Muir is known for her passion, unique perspective, and personal approach whether she is teaching a class, speaking to large audiences, or working with private clients. Martina is a keynote speaker who has spoken to international audiences and has been mentoring and teaching for ten years. She is an energy intuitive and has utilized her gifts and over twenty years experience in the fields of psychology, energy medicine, and various healing methods to create numerous training and coaching programs (The Light Plan, Warriors of Light, The BRAVE System, and Lightworker Academy).